“I expect much from you and your work. You’ve got talent, which you are ready to give away to this mad country. We are happy you are here.” So wrote Kurt Vonnegut to journalist and author Sergey Dovlatov after reading one of his stories, published in The New Yorker. These were the 1980s, when Dovlatov was already residing in New York as an émigré, never to return to his country of birth. The heartfelt critical praise that Dovlatov received from Vonnegut and others in American avant-garde literary circles stood in bittersweet contrast to the lack of recognition he was awarded in the Soviet Union. While he wrote many of his most well-known books in the US, among them The Zone (1982) and The Suitcase (1990), in the USSR his work had only circulated in samizdat (self-published illicit manuscripts) and was not officially published and celebrated until after his untimely death in 1990 at the age of 48. Times change though, and if Dovlatov’s name today no longer ignites sparks of recognition among Western readers, in his native Russia he is revered and considered to be one of the most significant writers of the second half of the 20th century, celebrated for his acerbic wit and wry observations on the minutiae of contemporary Soviet life, with all of its dreariness and relentless routine. 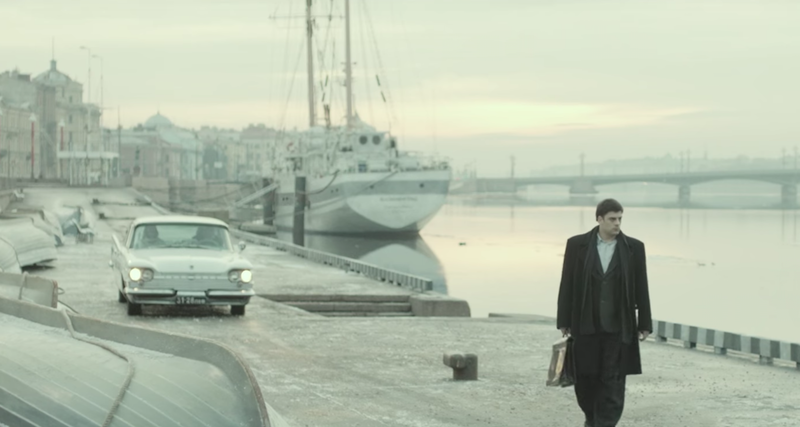 However, it is the pre-émigré years of Dovlatov’s life in Leningrad that Alexei German Jr has chosen as both the backdrop and subject matter of his latest film. 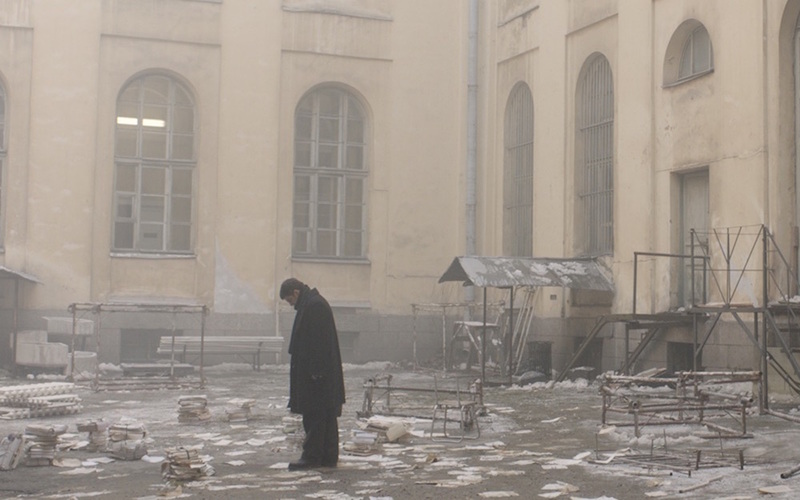 Dovlatov had its world premiere at the Berlinale a couple of weeks ago and signalled a return to the festival for German Jr, who was last present there in 2015 with Under Electric Clouds, for which he took the Silver Bear for cinematography. The film is set in 1971. These are the Brezhnev years — a period marked by economic and political stagnation — yet early enough in the decade for the brief respite of the Khrushchev Thaw to linger, albeit as a fast fading memory. 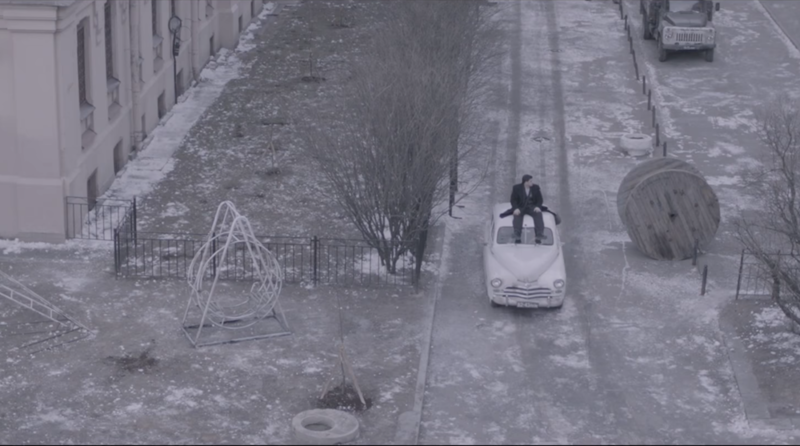 The Leningrad that appears onscreen, its grey tones blanketed by a steady sprinkling of snow that blurs and softens the edges, is a dreamscape that acts as a visual correlation of this mundane drudgery. Despite the title and protagonist, to call Dovlatov a biopic in the strict sense of the word would be misleading. 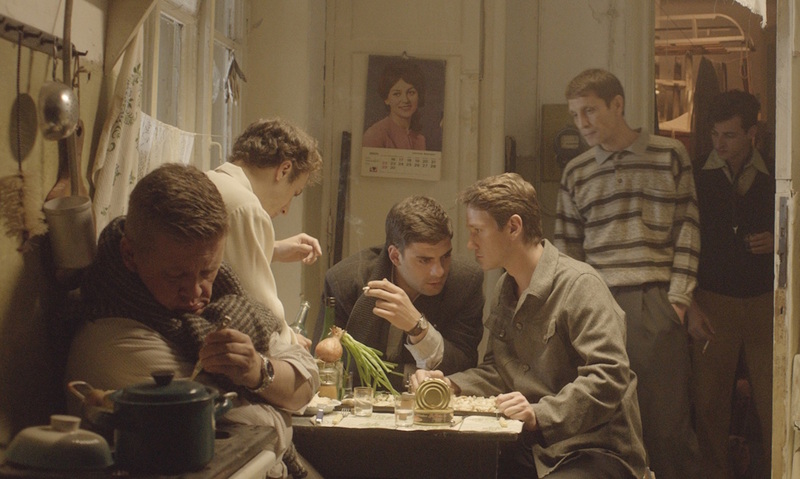 The action takes place over the course of a few days in early November, and follows the young Dovlatov (Serbian actor Milan Marić) as he tries to get published and navigates a failing marriage amid a coterie of fellow artists and writers — including his contemporary and close friend Joseph Brodsky — who, like him, are struggling to survive under the oppressive grip of the state. Speaking the truth and maintaining artistic integrity are what spur Dovlatov on, but also what stops him from being published. The opening scenes take place as city-wide preparations are in full swing for the annual celebrations of the anniversary of the Russian Revolution on 7 November. It’s ironic that this date reverberates throughout the course of the film, celebrating a historic promise that was never fulfilled while Dovlatov’s generation is forced to put its creative talent on the back burner and yoke out a living through other means. A poet-turned-Metro-builder and an artist moonlighting as a black-marketeer (played by Danila Kozlovsky) are among the characters that we encounter. Dovlatov’s writing is refused publication by both literary journals and small-scale industrial newspapers. A case in point: Dovlatov is commissioned to write about a film made by the employees of a Leningrad shipyard celebrating the Soviet Union’s literary history. His write-up, which includes interviews with workers dressed in the thinly disguised habits of Russia’s literary greats (Pushkin, Dostoyevsky, Tolstoy) is rejected for the implied mockery of its tone. 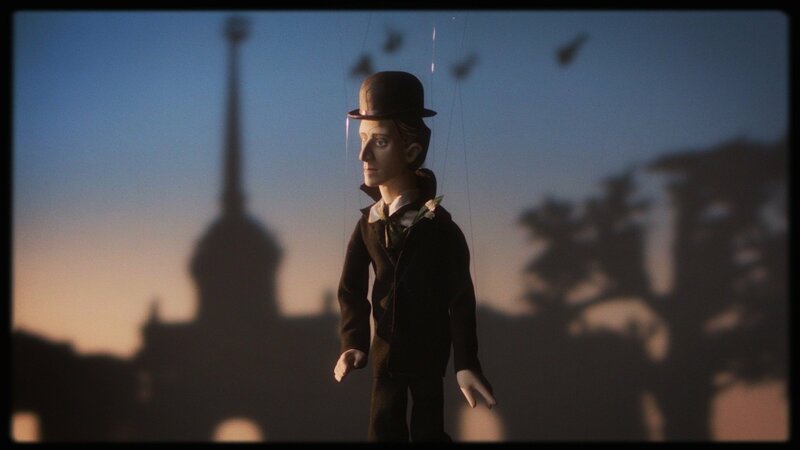 Despite the hardships and sense of hopelessness and inertia, there’s a distinct feeling that through Dovlatov German Jr brings to the screen a romanticised memory of a bygone era when art and literature were literally a matter of life and death. For one, it is the most personal of German Jr’s films to date. Not least because he grew up a few streets away from where Dovlatov resided and “because my father [the late auteur Alexei German], who was a wonderful filmmaker, struggled for a very long time,” explains German Jr in an interview the day after the film’s premiere. “One work in particular [Trial on the Road, 1971] was banned for nearly 15 years.” At the same time, “the 1970s were more potent and people had more courage” in comparison to today. “There was more honesty and a clearer understanding of what is real and what is artifice,” continues German Jr. Moreover, German Jr thinks it ludicrous to speak of Soviet-style censorship in today’s Russia. “The problem is that you think we are North Korea. Of course I don’t like the current situation with Kirill Serebrennikov [the theatre director under house arrest for alleged embezzlement] or Oleg Sentsov [the Ukrainian documentarian currently serving 20 years on trumped-up terrorism charges], but the West’s understanding of Russia is totally primitive.” Easily said when your own film has the financial backing of both the Russian Ministry of Culture and support from Russian cinema’s elder statesman Nikita Mikhalkov, hardly a vocal critic of the government. He does cede though that overt state censorship has given way to a monetary one, whereby actors, writers and filmmakers produce mediocre works just to make ends meet. And while it will most definitely divide public opinion, the film will no doubt further cement Dovlatov’s long-established position as an emblem of unwavering artistic self-expression and the refusal to be silenced.